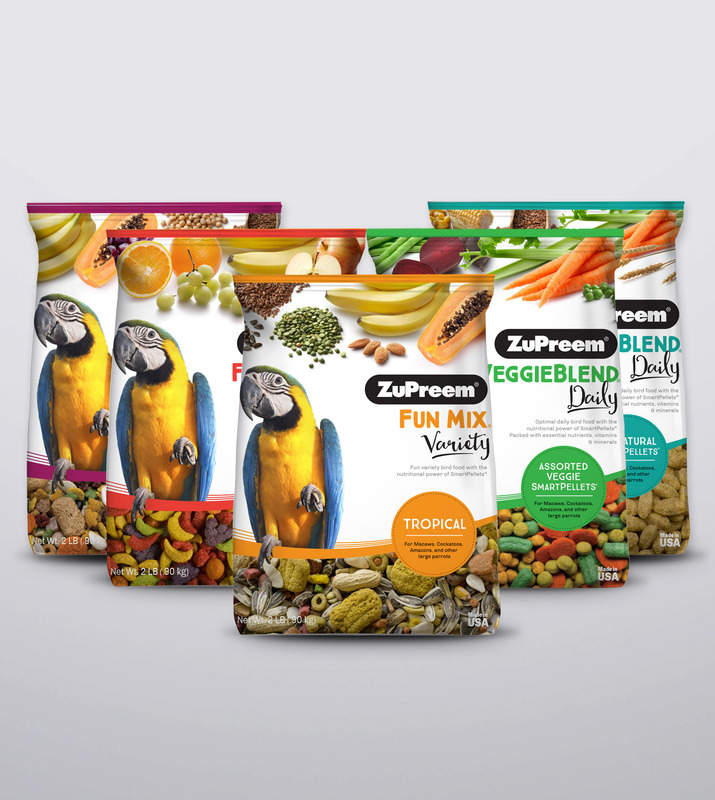 Zupreem Pet Food Packaging - Pivot Marketing Inc.
Zupreem's pet food packaging wasn't hitting its mark, so they pivoted, with a new strategy, product name and packaging focusing on real ingredients. 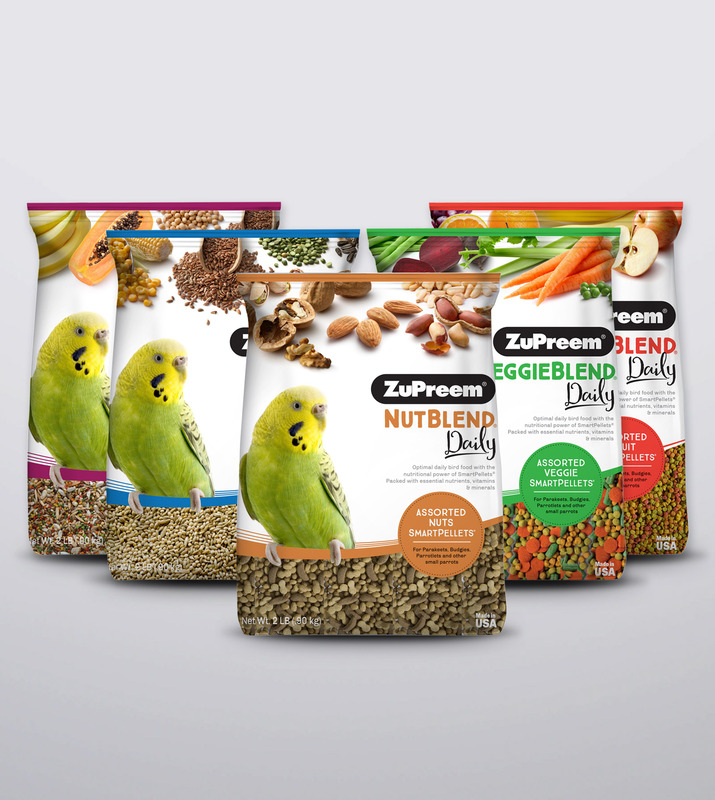 Zupreem is a premier pet food manufacturer of non-dog and -cat food fare, but wasn’t sure that its current packaging was attracting a broad enough customer base. So, it called us in to look at its bird food line. First, we participated in consumer research to determine if customer needs were being met. Then, we evaluated the existing packaging against consumer need sets and offered strategies to expand the positioning in the marketplace. After that, it was on to concept testing. We did the product naming and package design, as well as overall strategy, focusing on the visual appeal to bird owners and emphasizing the real ingredients in the bird food. Ultimately, we wound up redesigning all the existing packaging using the new strategy and Pivot-driven designs. And that left Zupreem—and the bird end users—singing our praises.